In 1992, a newly founded band project swept the moldy dust layers off the medieval music scene forever with a single club hit. “Ad Mortem Festinamus“ of the Llibre Vermell de Montserrat, a collection of late medieval songs from the 14th century, amazed the audience not by an authentic performance on historical instruments, but with an innovative reinterpretation using electronic sound spheres. Powerful beats and driving synthesizer pads in harmonic interplay with the engaging mezzo-soprano Sigrid „Syrah“ Hausen captivated dance floor enthusiasts as well as discriminating music lovers. Early music has never been more vivid and is being defined in a completely new way by the trio Qntal. Following two virtuosic and expressive albums – unaffectedly entitled „I“ and „II“ – the two creative forces Michael Popp and Sigrid „Syrah“ Hausen concentrated preferentially on their acoustic ensemble Estampie. After an 8 year break, they immersed themselves once again, this time with new reinforcements in personnel, into the unique and avant-garde world of Qntal, creating four unique opuses; each one with a different focus regarding sound as well as subject, but always intertwined with the Middle ages and fathoming all its facets anew. It is not for nothing that the dedicated musician Michael Popp refers to himself as the last troubadour alive, connected throughout several levels of history. “For me as an artist, it is important to look deeper under the surface, not to simply remain there.“ This remains his creed, even after 20 years of experience in the turbulent music business. "Eventually, I demand even more, to take the subject apart, look into one’s self a bit more and scrutinize what is there.” For this reason, one single medium of expression was not enough for him and his companion Syrah. In 2008, after their last studio album „Qntal VI – Translucida“, the duo decided to focus again on their work with Estampie and at the same time, to launch an entirely new project called VocaMe, focusing on the classical side of the Early Music. 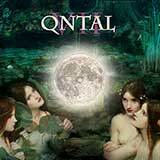 However, the year 2014 marks the beginning of a new creative period for Qntal. Thus far, Sarah "Mariko" Newman supported the band only at live performances, but as of now will be integral part of the line-up. Their new electronic mage will be Leon Rodt, substituting Philipp “Fil” Groth from now on at the keys and supporting the band as empathetic producer. Furthermore, for the first time in the history of the group, Michael Popp will appear as a solo singer. 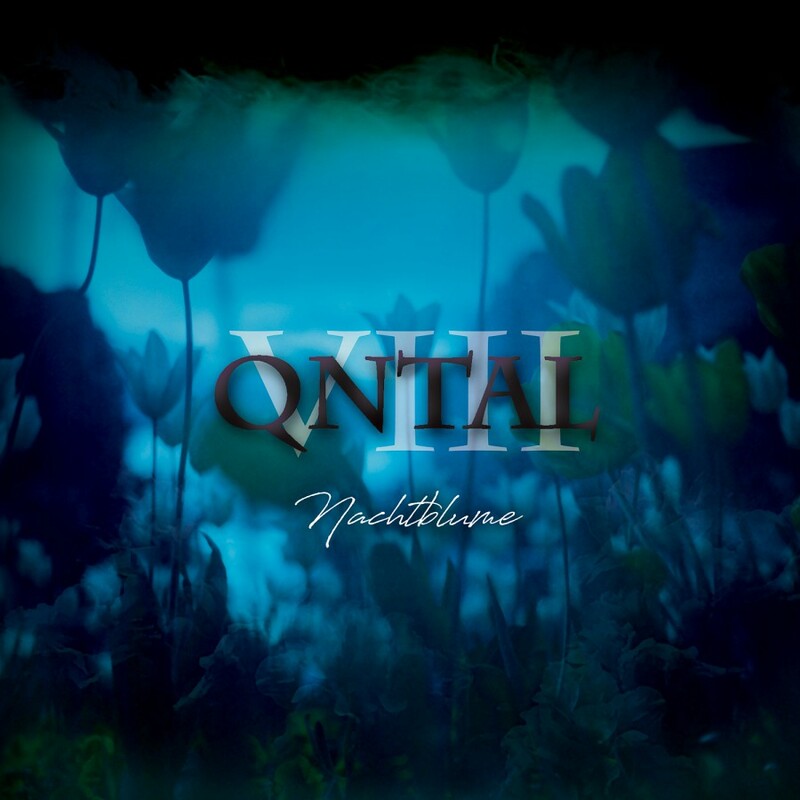 The seventh studio album – again simply entitled „Qntal VII“ – is ushering in the third era for Qntal and, despite all changes, still remains true to the original virtues. Sensitivity and expertise guide these musicians on their approach to century-old lyrics and melodies. Transformed into modern arrangements, lyrics and melodies alike are reanimated with virtuosity. Svelte artistry mingles with danceable, catchy sounds, always committed to the historical momentousness of the original piece. Alongside medieval sources such as the song manuscript Carmina Burana, the theologian Meister Eckhart, the minnesinger Heinrich von Morungen or the ars nova composer Guillaume de Machaut, Qntal now also advances as far as the 17th, 18th and 19th centuries. One example, the enchanting poem „By The Light Of The Moon“ by the British poet Lord Byron, is just as well transformed into a dignified piece of musical art as the “Tyger” by the nature mystic William Blake. Romanticism thus is not only an integral part of the album sound wise, but also flushes its lyrics with a melancholic dreaminess. With the title “Schnee” [“Snow”], the album “VII” dares even to enter the present: fantasy author Markus Heitz, known for his Dwarves and Alfa novels, conceived this ode to the “eternal night”. But regardless of which century the lines originate from, either 12th or 21st, Qntal always succeeds in allowing its essence to resound in its songs – multifaceted, formidable and moving. It is no wonder that these unique avant-gardists have appeared at classical events, such as the cloister concerts at the Walkenried Abbey, the “Landshuter Hofmusiktagen” [court music festival] or the European Church Music Festival as well as at medieval festivals or independent events such as the Amphi-Festival or the renowned Wave-Gotik-Treffen [Wave-Gothic-Meeting] at Leipzig. The opuses of Qntal are universal and timeless, permitting a glance beyond the edge of the world.